Boulder Reporter » Should Boulder tolerate intolerance? 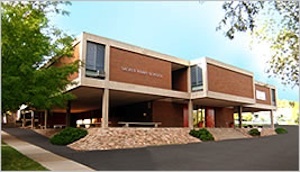 Anyone following the news recently knows about the controversy surrounding the Sacred Heart of Jesus Catholic School in Boulder. The administrators of the school expelled two children solely because their parents are lesbians. Needless to say, the action has resulted in a great deal of community anger and disgust. To Boulder’s credit, people from across the religious and political spectrum, including Catholics, have spoken out against the expulsions. Many parents of Sacred Heart students have participated in this outpouring of support for the children and their parents. The question arises as to whether a church school has the right to violate state and city anti-discrimination laws. Therein lies a legal conflict: whose rights are supreme, those of the church, or of the people it discriminated against? It also raises a moral issue: how to respond to bigotry masked in religious doctrine. In short, do we tolerate intolerance in our community? As an active member of the ACLU, I’m pretty much a purist when it comes to the Bill of Rights. Freedom of expression to me is sacrosanct. Even the most objectionable people or groups in society have rights. While I may find the school administration’s actions stupid and unchristian I believe they are protected under the First Amendment. So, instead of seeking to plunge the issue into the courts, I believe the best approach is simply to use the incident to underline and demonstrate Boulder’s community values of inclusion and tolerance. In reality, the Archbishop of Denver and his Sacred Heart of Jesus School administrator minions have probably done more harm to the Roman Catholic Church by their actions than any of its enemies could have ever hoped to accomplish. I am reminded of a bumper sticker I once saw, “Jesus, protect us from your followers.” In this instance, perhaps a new sticker needs to be printed: “Jesus, protect your followers from their hierarchy”. One of the blessings of our American constitutional system of government is the separation of church and state. Under that principal we protect churches from the government and government from the churches. The principle is not always honored, since we often see attempts — especially from those on the fundamentalist end of the political/religious spectrum — to use the powers of government to inflict on the rest of us their peculiar dogmas and doctrines. But, in the end, our society has been well served over the centuries by that principle. In the meantime, let’s not lose our heads over the proper response to the Sacred Heart of Jesus School decision. We should voice our disapproval but respect the church’s right to uphold its doctrines, regardless of how coldly and heartlessly they were applied in this case.